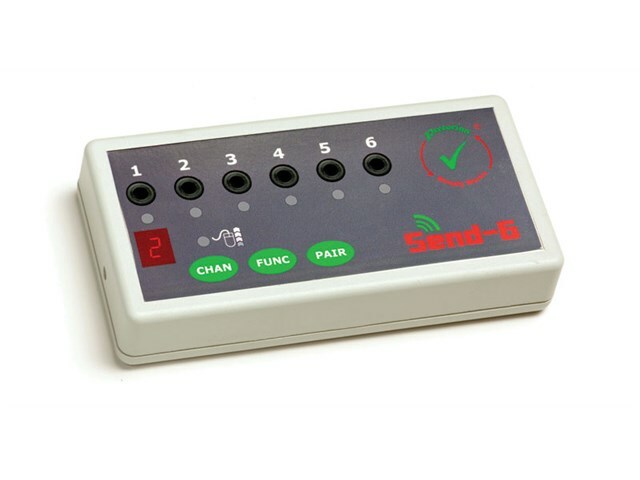 Part of the Simply Works range, SEND-6 is a unique switch interface providing wireless access for up to 6 wired switches. With no wired connection to the computer, it is ideal for wheelchair users working with switch accessible software, or for anyone physically constrained from working close to a computer. SEND-6 is also suitable for teaching computer and toy control switch skills to individuals and small groups. SEND-6 provides the most comprehensive selection of access options (software, game pad, mouse and keyboard functions) of any switch interface currently available including Simply Works. Please note that the Send 6 requires a it-receive.